Artecy Cross Stitch. Charlotte Cross Stitch Pattern to print online. 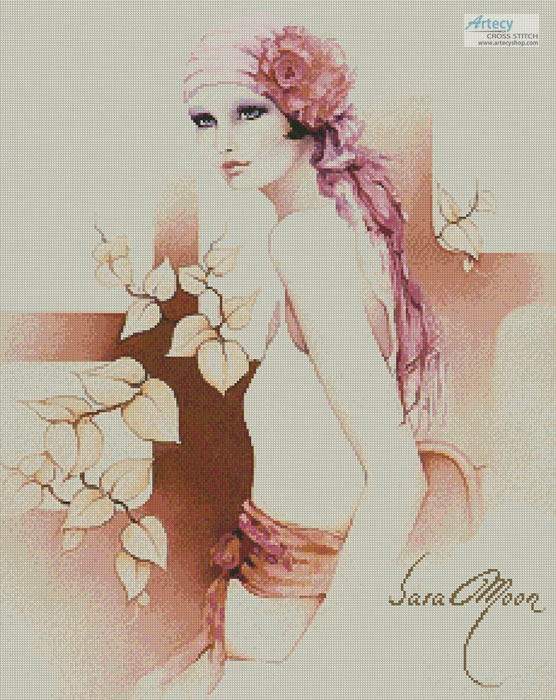 This counted cross stitch pattern of Charlotte was created from the beautiful artwork of Sara Moon. Original Image Licensed through Sara Moon.